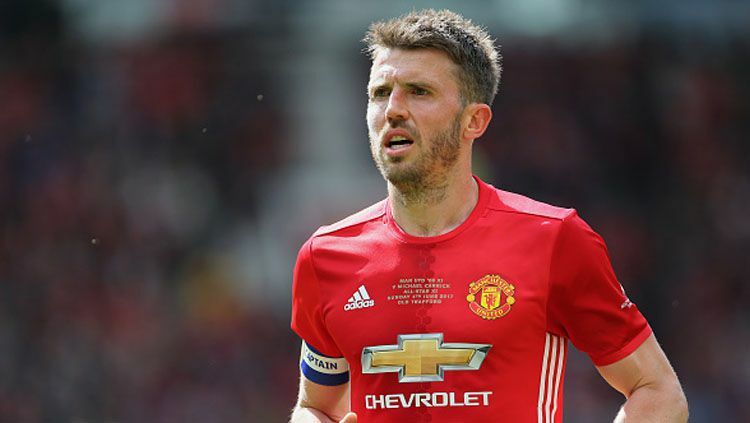 Manchester United captain Michael Carrick has announced that he is to retire at the end of the current season. He does so reluctantly, but given his recent personal health problems, it’s probably for the best. Over the years, Carrick has undoubtedly been an integral member of the first team squad at Old Trafford. He made the move from fellow Premier League club Tottenham Hotspur in 2006 and has made 463 appearances scoring 24 goals since then. As well as this, he’s also appeared for the England National Team 34 times, ever since being handed his international debut in 2001. 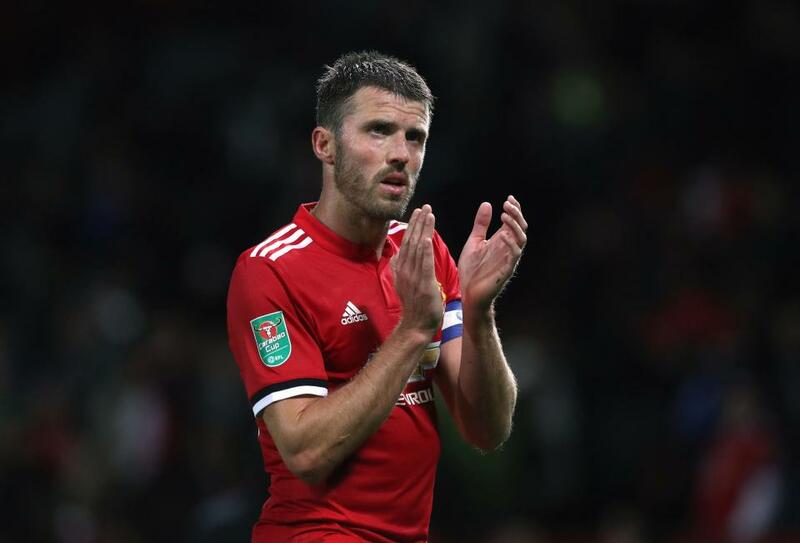 After the departure of club legend Wayne Rooney last summer, Carrick was handed the captain’s armband, proving that he is without a doubt held in high regard by the Red Devils’ hierarchy. However, he has spent the vast majority of this season on the sidelines due to a serious health issue. For those that don’t know, he was suffering from irregular heart rhythm. Of course, this is exactly the opposite of what you want when running around the pitch for 90 minutes! Ultimately, this led to Carrick’s retirement announcement, which really comes as no surprise given the circumstances. Despite his retirement, 36-year-old Carrick is expected to remain at Old Trafford, joining Jose Mourinho’s coaching set up. Was He Not Given The Credit He Deserves? Over the years, several United fans have said that Carrick has been their ‘unsung hero’. He most certainly had big boots to fill after the retirement of Paul Scholes, but he was never going to be a like for like replacement. However, Carrick can be regarded as largely underappreciated throughout his career. Despite his immense contributions to United’s league title wins and 2008 UEFA Champion’s League triumph, he was never regarded as a starter for the England National Team, with a host of England managers underlooking him throughout the years. “Good luck to my good friend Michael Carrick who is retiring at the end of the season. Great teammate and one of the best I’ve played with. ‘Brilliant career and I’m sure he will be very successful in his new role as a coach”. Every summer, United are linked with just about every player under the soon – the same thing happens year in year out! By the time this year’s summer transfer window rolls around, it will most certainly happen again. Given the fact they’ve fallen way behind rivals Manchester City this season, it won’t come as a surprise for them to sign up at least one new recruit. However, United Academy product Scott McTominay has broken into the first team this season. He’s started several times in the past few games, proving his potential to United boss Jose Mourinho. “I think it is quite refreshing to look at Scott and see how he deals with it. He goes about his business, he comes in, he is always in doing extra training. He’s desperate to do well and he’s always looking for those little things to improve on”. “All the glitz and the glamour that can surround young players these days, he doesn’t seem too interested in that, which is fantastic especially at this stage of his career”. Despite McTominay’s potential, Jose Mourinho is highly likely to invest in his squad in an attempt to keep up with the likes of Manchester City next term. Overall, it’s clear to see that Michael Carrick has been held in high regard by both his fans, teammates, and coaching staff over the years. Despite his criticisms, he’s undoubtedly been an important player for the club, and his contributions to the team will be missed. Thankfully, he looks likely to continue his stint at Old Trafford in a coaching role.